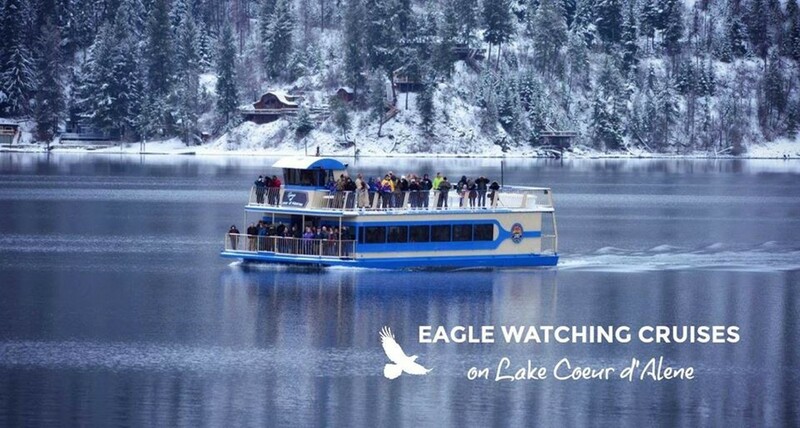 The idea of taking a lake cruise in the dead of winter might initially seem like an odd proposition, but the ones happening on Lake Coeur d’Alene in the last week of 2018 offer a breathtaking view of an annual natural wonder. It is, you might already know, the time of year when the bald eagles make their southern migration, and they make a stop at the northern end of Lake Coeur d’Alene where they feast on sockeye salmon. The cruises start at the Coeur d’Alene Resort and end at Wolf Lodge Bay, and you have three chances during the day to hop onboard. The value-priced cruises show an informative DVD about the birds’ migration patterns, but shell out a little extra cash and you’ll get a live presentation from a biologist.